Joe is the former Chairman of the LNCC Ambassadors and the only two-time winner of the annual “Ambassador Of The Year” Award, which is now renamed in his honor. Terri was the Administrative Assistant to Alan Simonini and Ray Killian, the two owners of Simonini Builders, Inc., which ceased operations in December 2010. To find out more about us, check out our Good Old-Fashioned Auto Repair business page on Facebook or our website at www.gofarguardianangels.com. 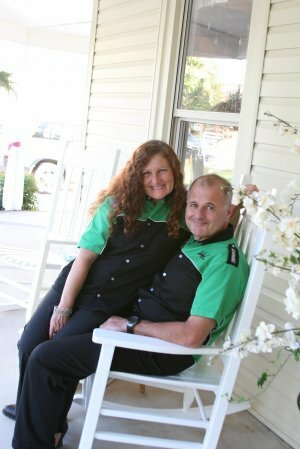 Vickie and husband, Jack, moved to the Lake Norman area from California, six years ago. They have raised 4 children (two girls,two boys). All four live in California. Vickie and Jack have 6 grandchildren, that they don’t get to see often enough. They have always been active in their church and in their communities, wherever they have lived. Vickie was a stay-at-home mom, but has always had a part-time job that allowed her to raise her family, and also provide a little extra cash for the fun things in life. She’s been a personal assistant, a teller, a merchandizer, babysitter, sales clerk, model, event planner, girls camp director, travel agent and makes and sells her handmade purses she calls Sassy Saks. 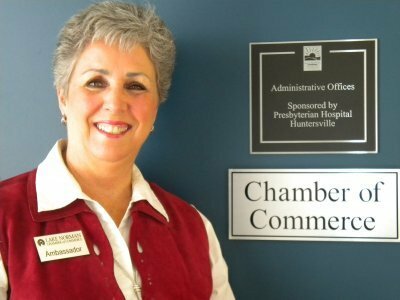 With Joe’s encouragement, Vickie became an Ambassador with LNCC in 2011, giving her the opportunity to be a part of this great Lake Norman community and to help people with the H.O.H.T. program. In 2012 she became the recipient of the Carbon Ambassador of the Year Award. She also is the past President of the LKN Business Group. As of November 9, 2014, Vickie is happy to say that she is a board member of The Lotta Foundation, an organization built on serving others through collections and donations, whether it be toys for the Levine Children’s Hospital, a food drive for battered women and children, books for underprivileged children, or coats for the homeless. It’s an honor to be included in this endeavor.